We have our MLB DFS 10/6/18 slate for Saturday. Like we’ve mentioned numerous times in all of our videos, weather is extremely important at this time of the season, and lineups are constantly changing. Make sure you keep an eye on both, but check back here for updates. We have our MLB DFS 9/23/18 slate for Sunday. Like we’ve mentioned numerous times in all of our videos, weather is extremely important at this time of the season, and lineups are constantly changing. Make sure you keep an eye on both, but check back here for updates. We have our MLB DFS 6/30/18 slate for Saturday. Like we’ve mentioned numerous times in all of our videos, weather is extremely important at this time of the season, and lineups are constantly changing. Make sure you keep an eye on both, but check back here for updates. We are doing a promo for 50 customers. We have 15 games on the our MLB DFS slate for Tuesday, 4/25/18. Like we’ve mentioned numerous times in all of our videos, weather is extremely important at this time of the season, and lineups are constantly changing. Make sure you keep an eye on both, but check back here for updates. The Angels got clobbered at home by the Red Sox and dropped two more to San Francisco, derailing their momentum. If they want to make a play for the AL West, they need to play the Astros well, head to head. The Angels and Astros series starts tonight. Seeing the whole season as a series if tests in this episode of Sully Baseball. Before Game 6 of the World Series, I visited my kid’s little league field and realized that this was the greatest Astros team of all time. During Game 6 of the World Series, I went Trick or Treating. After Game 6 of the World Series, I barked with dogs. Just another crazy October day on Episode of Sully Baseball. Well… we know there will be at least a Game 6. Future baseball fans will casually look at the 6-2 final and think it wasn’t much of a game. But keeping in mind one starter had a no hitter into the 6th and the other starter was actually BETTER shows how tight this game was. The World Series is knotted up. It will go into Halloween. And unless you are a Houston or San Francisco fan, that is not a good thing. So who owned October and the World Series? Cody Bellinger broke out of his slump with a pair of doubles, including a go ahead RBI hit in the 9th as the Dodgers tied the World Series with a 6-2 victory in Houston. Alex Wood no hit the Astros for 5 2/3 innings before allowing a go ahead homer. He might not have received a decision but he set up the 6-2 Dodger win. Alex Bregman made several sparkling defensive plays, cutting down a runner at the plate when the game was scoreless, and added a 9th inning homer in the Astros 6-2 loss to the Dodgers. Charlie Morton retired 14 straight batters, finishing with 6 1/3 innings, 7 strikeouts, 3 hits and no walks. The Astros bullpen would collapse and Los Angeles took the 6-2 final. Brad Peacock helped show that the Astros are using their bullpen the way it should be used: Use the best pitchers for the best situation to win a game. I hope the Series goes 6 or 7 to become a classic. Meanwhile my son’s give their World Series thoughts and tie it to Jurassic Park. Looking for something timeless this Episode of Sully Baseball. My my my. The Houston Astros have thrown away all traditional use of the bullpen closer and now they are 2 wins away from winning the World Series. Quite a change of events from being behind in the 9th inning and facing Kenley Jansen on the mound in Game 2. Yuli Gurriel got a pair of hits including a homer to spark the Astros to a 5-3 victory against the Dodgers. Brad Peacock came out of the bullpen to throw 3 2/3 innings of no hit shutout ball to earn his first career Major League save, sealing Houston’s 5-3 win over the Dodgers. Kenta Maeda was pressed into action in the second inning. He responded with 2 2/3 shutout innings, allowing 1 hits and 1 walk while striking out a pair of Astros in the Dodgers 5-3 defeat. Joc Pederson reached base twice, including a double, and scored in the Dodgers 5-3 loss to the Astros. The Astros chucked away the tyranny of the save and won a pennant along the way. 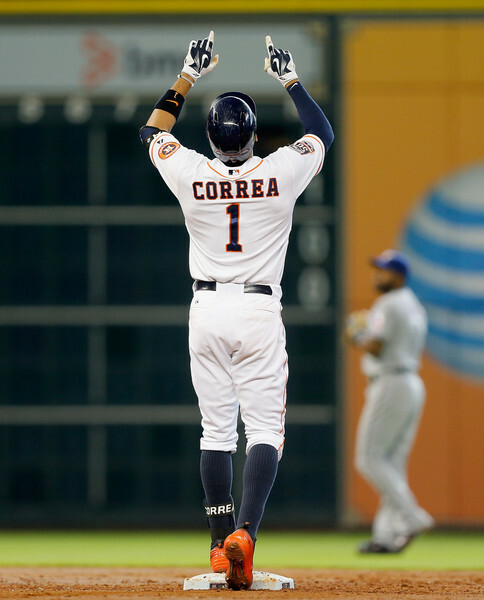 It was the greatest moment in Astros history. The World Series is set up and the Dodgers and Astros have tons of feel good storylines on both sides. Meanwhile, Dusty Baker was fired and I give him credit where it is due. October is heating up on this Episode of Sully Baseball. One Thousand Five Hundred straight days of podcasting. Today, along with the audio that as always can be found on Soundcloud and iTunes, I did a video podcast to mark the occasion. I looked at the concept of baseball nostalgia and realized that everything is trying to celebrate the late 1940’s. Why should post WWII monopolize traditional baseball? Celebrating 1500 shows in the can and many more to follow on this episode of The Sully Baseball Daily Podcast. For those of you who don’t know, I’m a huge Astros fan. I’m actually in Houston to see the weekend series as I write this article. This is my first time at an Astros’ home game since 2005 and I was not disappointed by the first game of the weekend. I was lucky enough to see by far the best game I’ve ever seen in person last night. Following a very impressive appearance in the the MLB Futures Game, Houston Astros’ top prospect, Alex Bregman, could find himself back in a Major League Baseball stadium very soon. There has been rumors and reports that the Astros could call up Bregman as early as this weekend. While nothing has been confirmed, this is very exciting news for baseball fans and fantasy owners.